Inflatable spas can look cheap while solid spas tend to be outrageously expensive. Comfort Line has created a product that bridges the gap. The Spa-N-A-Box (Spa in a Box) is neither inflatable nor solid. It offers the best of both worlds by being both portable and attractive, at a reasonable price. 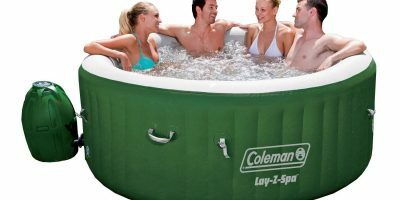 Comfort Line was an early pioneer in the portable spa industry and they still stand out as a leader in the market. They are all about affordability and portability. Take down is just as easy as the assembly. This spa can be used indoors as well as outdoors, so it’s possible to move it back and forth for different seasons without too much effort. The walls have a nice faux-wood look but are made from a heavy duty 3-ply PVC vinyl. 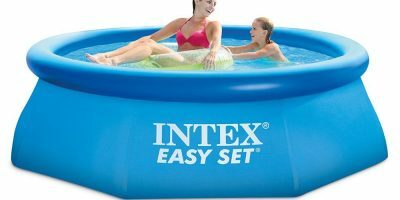 It’s not quite as comfortable as the inflatable spas but it is relatively comfortable and quite sturdy. The micro-air jets and turbo wave massage system are on the gentle side so they aren’t vigorous jacuzzi jets. When the jets are on, it gets pretty noisy and you will lose heat more rapidly. To retain heat when not in use, there is an included inflatable cover. 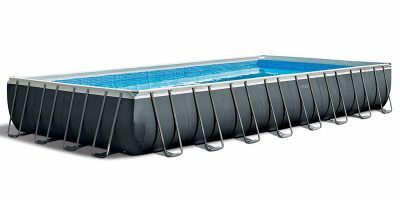 This is a decent choice if you want a hot tub but have very little to spend. Setup is fast and easy and the fabric-coated walls are quite comfortable. There are 130 bubble jets to add to the relaxing experience of using this spa. 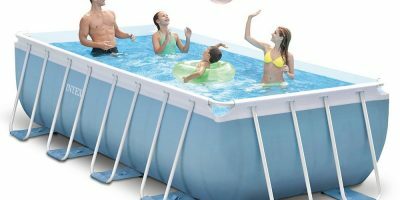 It might not last forever, but this inflatable is a perfectly fine entry-level hot tub. 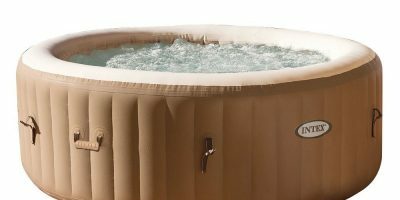 If money is no object and you don’t have a need for portability, a solid hot tub offers the best possible spa experience. 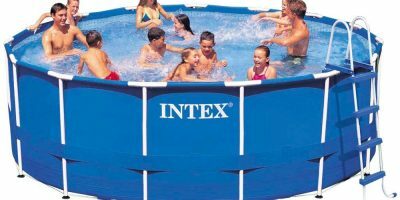 This permanent hot tub from Hudson Bay is large and has 19 powerful jets that target every part of your body for maximum relaxation. There are 7-color LED lights for underwater mood lighting. A lockable cover prevents much heat loss when not in use, saving you the energy costs. This is a very solidly constructed spa that should stay looking great and work well for years to come, as long as you complete routine maintenance. Adding a spa to your life is a great way to relax and let the stress of daily life melt away. 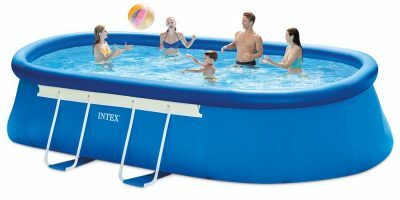 The Comfort Line Spa-N-A-Box offers a perfect medium between the affordable portability of an inflatable and the great aesthetic of a solid hot tub.